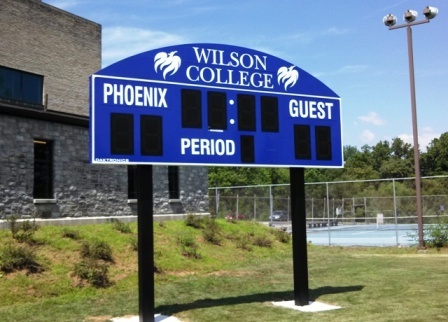 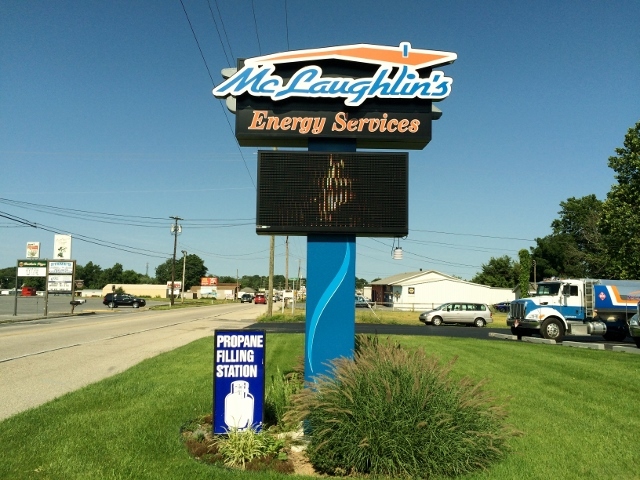 Example of Daktronics 4'6"x16' single-faced electronic scoreboard installed on steel poles set into concrete footers. 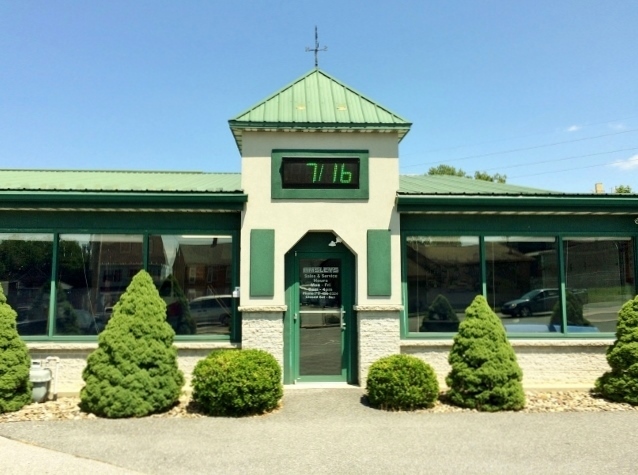 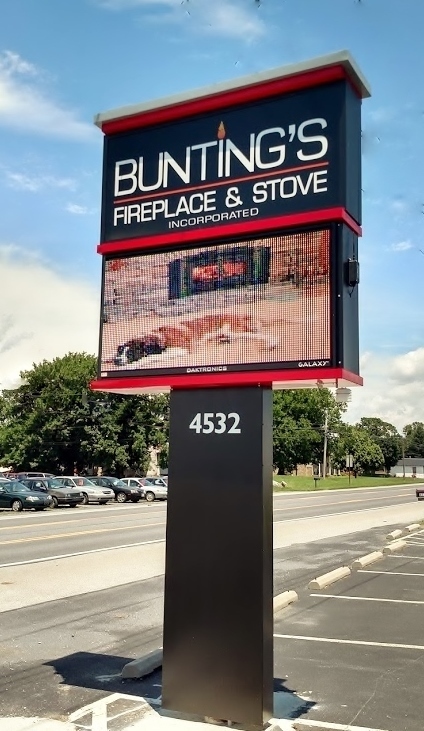 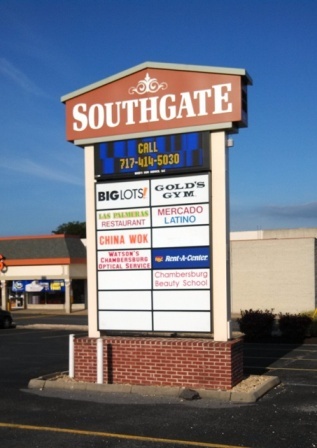 Acrylic non-illuminated "SOUTHGATE" shopping center sign with a double-sided 2'4"x8' Watchfire Electronic Message Center and internally-illuminated tenant panels on existing steel pipes. 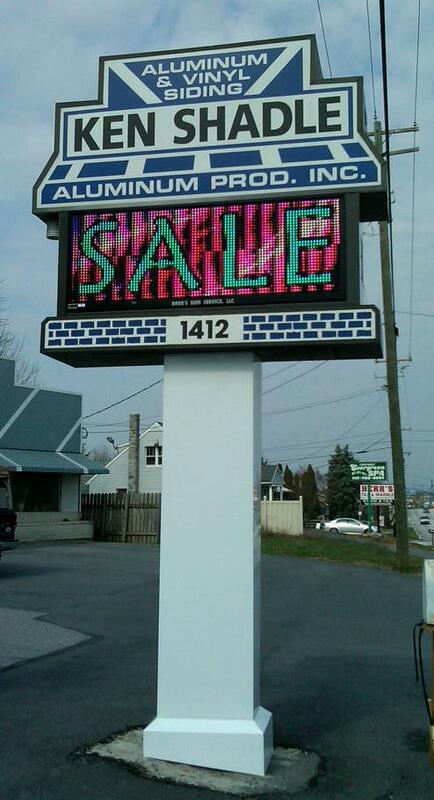 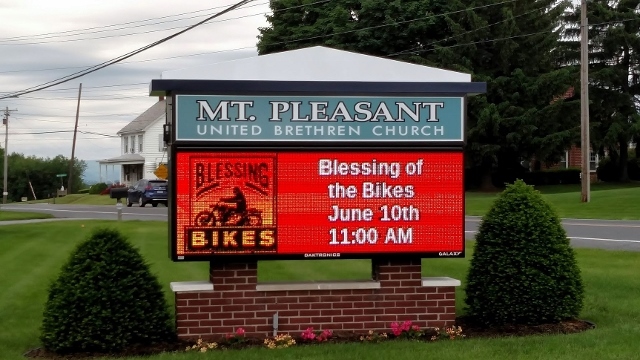 Double-faced 29"x6'3"x8" deep 19mm color LED (4 lines / 19 characters at a 5" type) WatchFire message center. 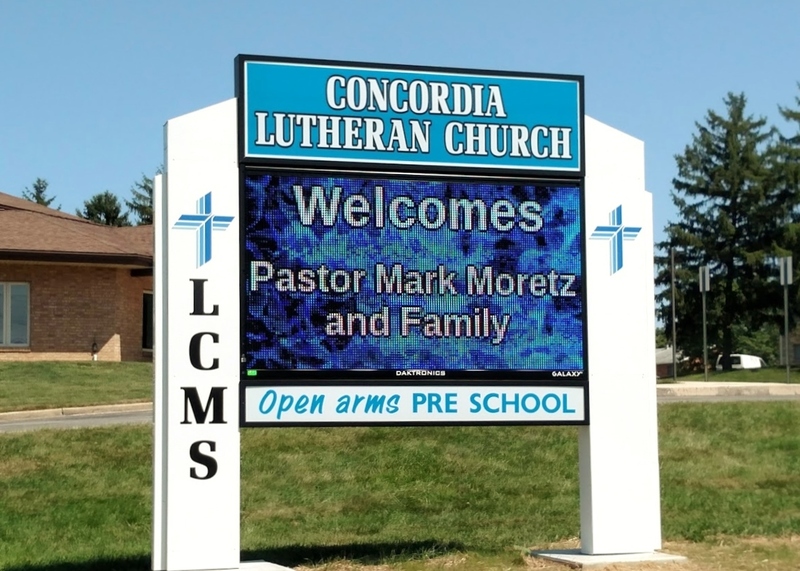 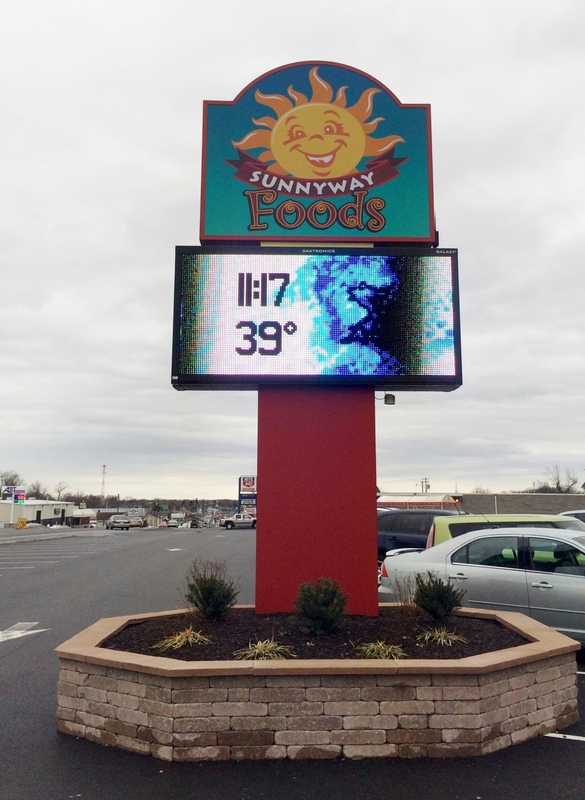 Internally-illuminated 24' pole sign with 5'x10' Daktronic full color LED message center with temperature sensor.